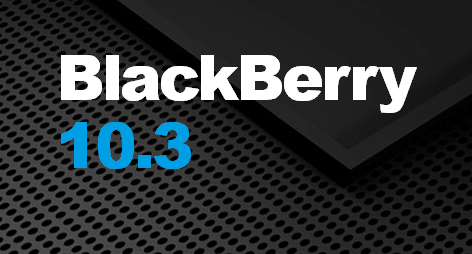 With BlackBerry OS 10.3.1 now official, that means there's plenty of new features to look at. This update, while applicable to all BlackBerry 10 smartphones, is mostly aimed at early BlackBerry 10 smartphone owners such as those using a Q5, Q10, Z10, Z3 and Z30 as the Passport and Classic both came with their own iterations of 10.3.x. With that in mind, a lot of the features found on the Passport and Classic have transferred to older Blackberry 10 devices so there's some overlap in the 'what's new' from when the Passport and Classic were released. Let's have a look at what has been added, on the whole though, for all BlackBerry 10 devices. BlackBerry Assistant- The BlackBerry Assistant app makes it even easier for you to multi-task using your BlackBerry device! With the BlackBerry Assistant app, you can perform a variety of everyday tasks by talking or typing in natural language. When you say or type a request, the BlackBerry Assistant app can perform your request, search your device, or search the Internet, and provide a response. Using the BlackBerry Assistant app you can start a BBM chat, make a phone call, send an email message, or add an event to your calendar. You can also update your status in social networking apps, and search for directions, weather forecasts, information about restaurants or shopping, and more. BlackBerry Balance - If your BlackBerry device uses BlackBerry Balance technology, a Camera app is now available in your work space. Pictures and videos taken using the Camera app in your work space are saved in the camera and videos folders in your work space. A separate Camera app is still available in your personal space that saves pictures and videos in your personal space. Advanced interactions - To improve the battery life of a BlackBerry device and to help users do tasks faster, the following features have been introduced in BlackBerry 10 OS version 10.3.x. Lift to Wake: To wake the device from standby mode, lift the device from a flat surface. / Flip to Save Power: To turn off the screen and put the device in standby mode, place the device face down on a flat surface. By default, Flip to Save Power is turned on. / Flip to Mute: To silence the device, place the device face down on a flat surface. By default, Flip to Mute is turned off. Visual refresh - Splashes of color, flattened buttons and screen layouts, and new wallpaper and icons – these are some of the elements you will notice with the fresh new look of BlackBerry 10 OS version 10.3.1. Modernized visual elements help you navigate your BlackBerry device and improve your productivity within apps. On the home screen you can see your open apps, and when you swipe left you can see all your apps. By default, when no apps are open, the home screen displays only your wallpaper. Also, there is no restriction on the number of apps you can add to folders on the home screen. Action bar - The action bar at the bottom of the screen in applications installed with BlackBerry 10 OS version 10.3.x has been updated to improve productivity while using apps. The action bar uses color to highlight the next, or next best action. The highlighted icon is called the Signature Action. The Back button and icons for key tasks persist in the action bar to help the user stay productive and keep on task. In some apps, for example the Adobe Reader app, the action bar disappears when you scroll, giving you a full screen view of the content. Home screen - The home screen displays the running apps and the apps installed on the user's BlackBerry device. The home screen has been updated to improve the user's experience when using BlackBerry 10. There is no restriction on the number of apps the user can add to folders on the home screen. Merge the contents of two folders by dragging a folder on top of another folder. Running apps stay in a fixed position based on the order the user opens the apps. To change the order of the apps on the home screen, press and hold an app. When the app starts to pulse, drag and drop the app to a different location. More Apps on Screen - The BlackBerry Z3, Z10 & Z30 now get an extra row of apps. For QWERTY users rocking out on a Q5 or Q10, you get an extra column of apps. Quick Settings menu - The user can still open the Quick Settings menu by swiping down from the top of the home screen using one finger. The user can now also open the Quick Settings menu from a running application. To open the Quick Settings menu from a running app, use two fingers to swipe down from the top of the screen. Settings List Re-arrange - In BlackBerry 10.3.x you'll be able to re-arrange the order of the Settings menu, allowing you to move your most frequently-used items to the top. BlackBerry Hub Instant Actions - The BlackBerry Hub Instant Actions feature helps the user quickly, with a single tap, sort and manage messages in the list view of the BlackBerry Hub. If the user makes a mistake while managing messages in BlackBerry Hub, the user can tap Undo to cancel the last change. BlackBerry Hub "Reset" - The BlackBerry Hub will now close / auto-save open content and default to the list after 30 minutes of inactivity. Recent Contacts - The Recent Contacts feature in the BlackBerry Hub has been updated to improve the relevance of suggested contacts. When the user composes an email, the BlackBerry Hub only suggests contacts that: Are associated with the email account that the user is sending the email message from or the user has communicated within the last 60 days. Meeting mode - Meeting mode automatically changes the notification behavior of the BlackBerry device when the device detects that the user is in a meeting or at an event. For example, the user can set meeting mode to automatically turn off all sounds and ring tones when a meeting is scheduled in the user's calendar. The user receives a notification letting the user know that the device is in meeting mode. BlackBerry Remember integration - The Calendar app is more closely integrated with BlackBerry Remember. The user can create a task in the Calendar app, and view the task in the Calendar app and the BlackBerry Remember app. The tasks and notes are separated by a tab and as a user you'll have the ability to set what your default view is. Join Now improvements - The Join Now feature for calendar events has been improved to support international dial-in phone numbers and additional languages. Camera - Taking pictures and recording videos using the Camera app is easy with BlackBerry 10 OS version 10.3.x The Camera app lets a user snap a picture, record a video, and switch between the front and back cameras from the main screen. Users can even take a picture while recording a video! Automatic suggestions allow the user to focus less on the Camera app and more on capturing the moment! By default, each time the user opens the Camera app, the camera is set up to use the Normal shooting mode and Auto scene mode. With BlackBerry 10 OS version 10.3.x, the Camera app detects the conditions of the scene the user wants to take a picture or video of, and suggests the settings to use. Suggestions are interactive and appear at the top of the screen. To turn on the suggested setting, the user taps the suggestion. The redesigned, consolidated menu in the Camera app lets a user quickly: Switch between the front and back cameras. Change the scene mode, aspect ratio, flash settings, and other camera settings. Change the shooting mode to Normal, Time Shift, Burst, or Panorama. Set a timer to count down before the camera takes a picture. A timer can be set even if the user is using Time Shift mode. Additionally, Offline Time Shift picture editing allows you to edit Time Shift pictures after they've been taken. BlackBerry Story Maker - The BlackBerry Story Maker app takes the work out of making picture and video collections by grouping the pictures and videos on your BlackBerry device by date, time, or location. BlackBerry Story Maker presents stories to you in the Date view of the Pictures app. BlackBerry Story Maker can also suggest stories based on pictures and videos that are favorites, most viewed, recently viewed, and recently added. From the BlackBerry Story Maker app, you can easily add favorite pictures and videos to your stories. You can also personalize your stories by changing the theme and editing the pictures and music before sharing the stories with your friends, colleagues, and family. Videos - When you open the Videos app, videos that you recently added or played appear across the top of the screen. The Favorites view lets you quickly see your favorite videos. And you can edit your videos so that the video, or part of the video, plays in slow motion. You can also adjust the quality of the sound in your videos by changing the equalizer options. The Videos app is more closely integrated with the BlackBerry Story Maker app. You can quickly send videos to BlackBerry Story Maker to create a story or add to an existing story. Music - A marquee banner is displayed at the top of the Music app. The marquee banner gives you details about the song that is currently playing, and lets you play, pause, and change the song. Also new in the Music app is a Favorites view which lets you quickly see your favorite songs. You can also adjust the quality of the sound played by the Music app by changing the equalizer options. Hide or Show Some of Your Pictures: You can select the pictures you want to be able to hide quickly. For example, after you select the pictures you want to be able to hide, before you pass your BlackBerry device to a friend or coworker, with a quick swipe and tap, you can hide the pictures you don't want other people to see. After your device is returned to you, with another swipe and tap, you can quickly view the hidden pictures again. View Your Pictures by Location: The Map feature in the Pictures app lets you see the locations where you have taken pictures. With a quick tap on the map, you can view all of your pictures from that location! You can zoom in and move around the map, just like when you use the Maps app. Improved Android app support - BlackBerry 10 OS version 10.3.x improves the Android app experience on BlackBerry devices. Users can visit the Amazon Appstore and other Android app websites for popular Android apps! Plus, Android API additions include Bluetooth Low Energy Services: This API includes alert notifications, location and navigation services, link loss service, immediate alert service, transmit power service, current time service, next daylight time change service, battery service, and device information service. NFC: This API includes support for reader/writer mode and P2P mode. OpenGL ES 3.0: This API includes support for high performance two-dimensional and three-dimensional graphics that use this API. RenderScript: This API includes a platform-independent computation engine that operates at the native level to improve the performance of complex apps. Connections - The Device Monitor lets a user view the data usage of the BlackBerry device on the mobile network and Wi-Fi network. The device Monitor displays the total amount of data used by the device, which includes data usage while roaming, and the total amount of data used by apps on the device. This feature helps users track which apps use high volumes of data. When the user minimizes the Device Monitor, the minimized app displays basic usage information about the device, such as the estimated remaining battery life. Set Battery Saving Mode Options: Improvements have been made to the BlackBerry 10 OS to help improve the life of the battery in your BlackBerry device so that your device is ready to perform when you are. Battery Saving Mode lets you set options to conserve battery power. By default, when your device is in Battery Saving Mode, the device reduces the brightness of the screen and doesn't turn on the screen when it receives notifications. You can also turn off the Run When Minimized app permission so that when you minimize an app it doesn't continue to consume battery power. Change App Permissions: The Run When Minimized application permission setting lets an app continue performing tasks after you minimize the app on your device. The Maps app is an example of an app that uses this permission. To help extend the life of your battery, turn off the Run When Minimized permission. Create or Edit a Notification Profile: Notification profiles control how and when your BlackBerry device lets you know that you have new messages, phone calls, and more. Notification profiles control the sound, volume, vibration, and LED color of notifications by application, contact, and messaging account. You can customize the predefined notification profiles and create new profiles that work for you. Create and Edit Custom Keyboard Shortcuts: If you have a BlackBerry device with a physical keyboard, you can perform a task simply by pressing and holding a specific key on the keyboard. You can use keyboard shortcuts from the home screen, BlackBerry Hub, or the Phone app. Control How Much Content is Downloaded in Your Email Messages: To help manage your data usage, you can set the amount of content that is downloaded in your email messages when your BlackBerry device is connected to the wireless network and while roaming. This feature is particularly useful if you move frequently between a Wi-Fi network and a mobile network, or for frequent roaming. You can set this feature for each email account that is set up on your device. Set Separate Automatic Replies for Your Internal and External Contacts: You can set an automatic reply for contacts within your organization and a separate automatic reply for contacts that are outside of your organization. You must have a Microsoft Exchange ActiveSync email account added to your BlackBerry device that supports internal and external out-of-office notifications. You can also set a date range during which time automatic replies are sent. Sync Microsoft Exchange Contact Folders: If you add a Microsoft Exchange email account to your BlackBerry device, you can choose the Contact folders that are set up in Microsoft Exchange that you want to sync with your device. Quickly Copy Contact Information: You can touch and hold contact information, such as an address, phone number, or email address, and quickly copy it so that you can paste it into another app. Adobe Flash removed - This more of a heads up than anything. As Blackberry noted previously, Adobe has stopped Flash development support for mobile browsers. This is consistent with the shift of mobile web content generally moving towards HTML5. As a result, we can no longer support Adobe Flash beginning with the software release of BlackBerry 10 OS version 10.3.1. There's honestly thousands of more minor changes in the OS and these are just some of the larger changes. Other improvements include additions to Story Maker, the music app, the video app and much, much more.